Are you missing one or more teeth due to injury, gum disease or decay? Have you considered getting a dental implant to restore your smile to its original luster? Not only do missing teeth affect your appearance, but they can also make eating uncomfortable and lead to bone loss. For this reason, we recommend dental implants to rejuvenate our patients’ smiles and prevent further deterioration to the mouth and gums. Today’s dental implants are stronger and better than ever, and they also look completely natural. This advancement is thanks to the availability of zirconia implants, which originated in Europe and recently became available in the US. They are quickly becoming the preferred material for patients and dentists alike, due to their safety, effectiveness, and appearance. What are Zirconium Implants (Ceramic Implants)? First, let’s discuss what an implant is. 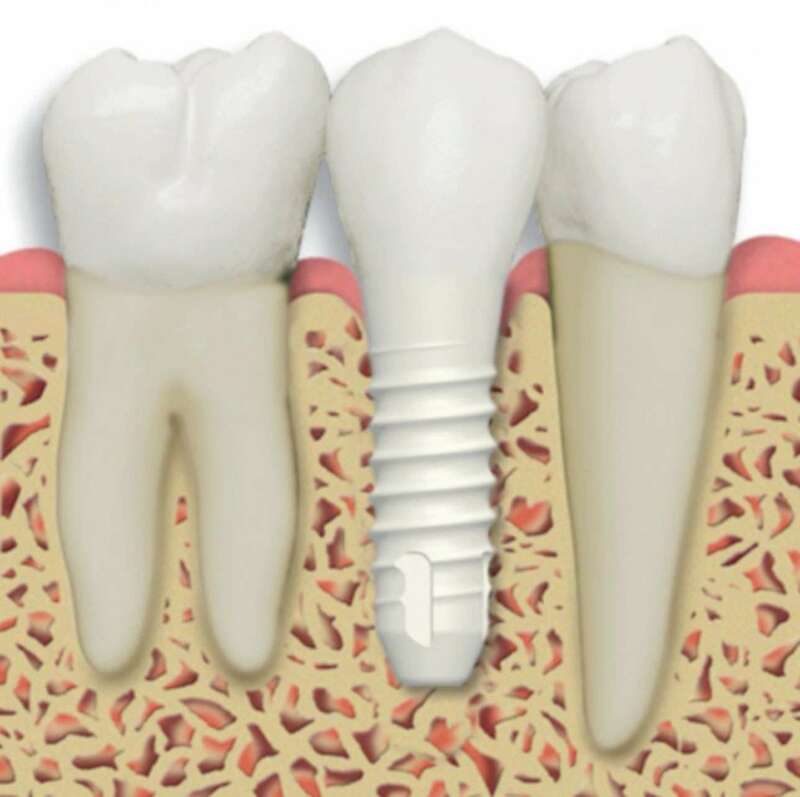 Dental implants are structures that connect a dental prosthetic such as a crown, bridge or denture to the bone. They function as a tooth’s root, and they look like a small post. Once they’ve been fitted, the dentist installs the dental prosthetic over the implant. Implants are widely favored over dentures because they provide a natural fit and allow the patient to retain normal tooth function. Dentures, on the other hand, simply rest on the gum line and attach to the jaw via an adhesive. The dental implant field has advanced rapidly, the last ten years have seen dramatic improvements. Zirconia implants have been instrumental in providing patients with a superior experience. Zirconia implants are made from zirconia oxide, a ceramic-type material that has a creamy white hue that blends well with a patient’s natural tooth color. As the name implies, the zirconia used in dentistry is similar to cubic zirconia, the material used in costume jewelry, that looks and feels like a real diamond. 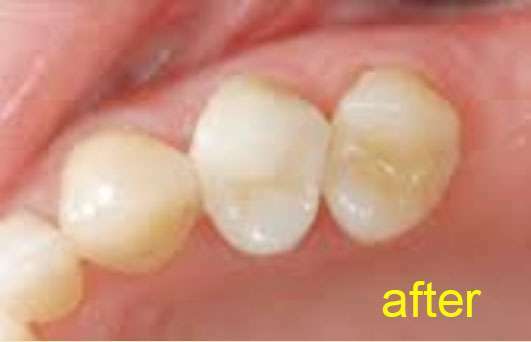 Previous to the year 2000, dentists used a variety of materials for dental implants, with titanium being a top choice. It’s strong, lightweight and is still widely used today. However, to make it strong enough to function as a dental implant, it has nickel added to it. This can be problematic, as the CDC estimates that up to 20% of the population has a nickel allergy. As a holistic dentist, Dr. Parsi appreciates that zirconia is naturally occurring and biocompatible. This means that it won’t react with the patient’s biological systems, making it readily accepted by the gum and mouth tissue. This is key because the body won’t reject the implant or attack it with an immune response. Though titanium is shown to react well with the body, it’s not classified as biocompatible, so it carries some risk of rejection. Zirconia, on the other hand, is biocompatible. One of the reasons it’s so crucial to choose a biocompatible option is that the body may not reject something that’s not biocompatible right away. As a result, the patient could experience a reaction months or years after implantation, requiring removal and another implant. Patients with auto-immune conditions such as Crohn’s Disease or lupus should take extra precaution when it comes to choosing implant material and should opt for something biocompatible, like zirconia. Zirconia is a neutral material and won’t cause allergies. Metals, however, can trigger a reaction. Common symptoms of an allergic reaction include redness, itchiness, inflammation, and even bone loss. As people become more health conscious, they rightfully express concern about having metal in their mouth. Metals like mercury have been linked to Alzheimer’s Disease. Though titanium and other metal implants don’t use mercury, patients who once upon a time had mercury fillings often wonder if new information will come to light about the dangers of other metals in the mouth. It’s also important to note that metal conducts electricity and heat, while zirconia does not. Granted, feeling discomfort from an electrical current or feeling excess heat in your mouth are rare occurrences, they can happen, especially among sensitive populations. Further, the conductivity of metal can attract bacteria and serve as an ideal breeding ground. This can make oral hygiene more difficult to maintain, resulting in infections, gum disease, and bad breath. Zirconia is a very strong material. Patients appreciate that it simulates the natural tooth perfectly, allowing them to enjoy their food without worry of shifting or breakage. 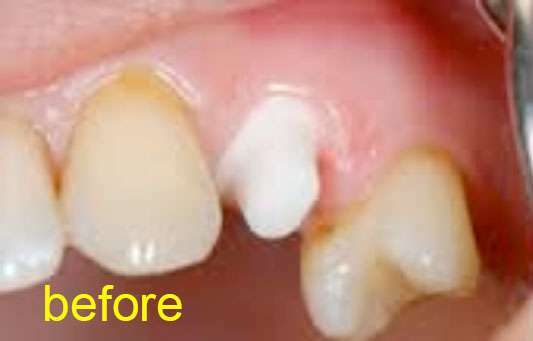 Both titanium and zirconia resist corrosion. However, the metals that fortify titanium implants are not immune. Therefore, titanium implants will corrode over time, while zirconia implants can be expected to last for many many years. Zirconia dental implants have been successfully used in Europe for decades. Titanium implants can house more plaque, mostly because of the bacteria buildup from the added metal alloys. Zirconia, on the other hand, attracts less plaque, making it easier to maintain your oral health. Because zirconia implants are the same color as your teeth, the posts won’t show through with any gray as a titanium implant would. This provides a more natural look. No one will know you’ve had implants! In Dr. Parsi’s office, we don’t charge more for zirconia implants. Your insurance may cover the bulk of the implant, especially if the patient has been tested for metal allergies and received a positive result. At Wellness Dentistry, Dr. Parsi will work with you to make sure you get the maximum amount of insurance benefits allowed by your plan to keep your costs as low as possible. It’s also important to consider that not getting an implant when it’s needed can further degrade the health of your mouth and affect other teeth. By addressing an issue as soon as it becomes necessary, you can help save further expenses down the road. Would you like to find out if zirconia implants are right for you? Schedule a free consultation with our office today.